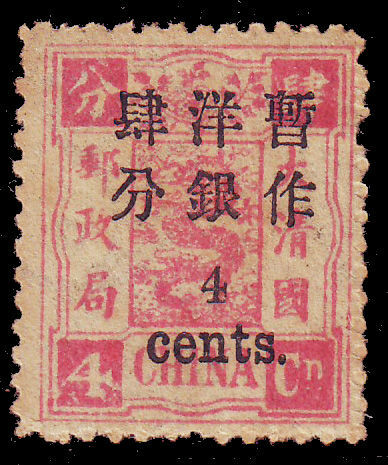 Including 1897 4c on 4ca rose - mint no hinge remnant but gum disturbed by previous hinge. Good mint, moderate even toning, slight perforation faults. 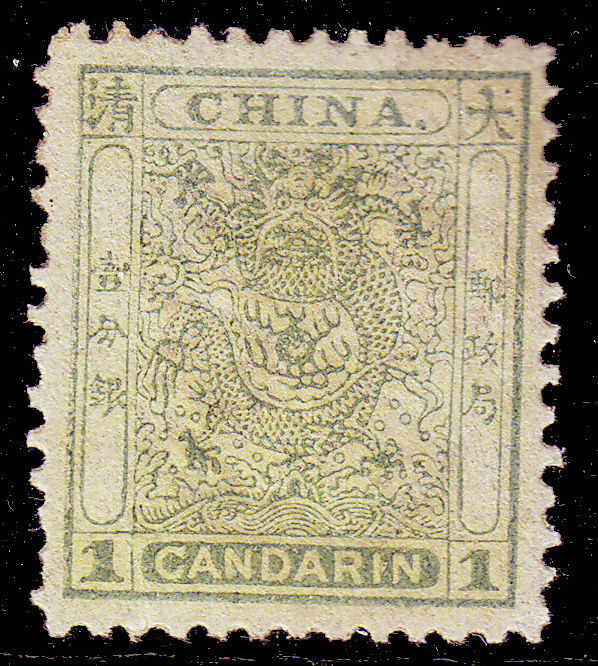 1888 1ca green small dragon mint. 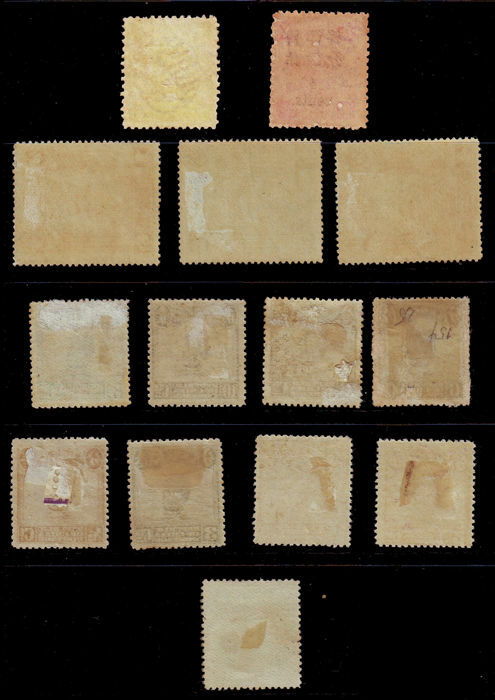 1912 London print junks mint hinged, 3c & 10c good mint full original gum, 2x 6c both with toning and adhesions on reverse. 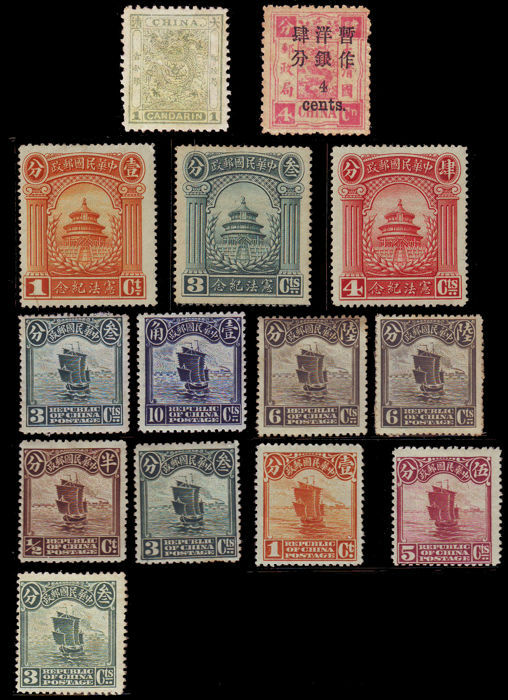 Plus a few first and second Peking print junks with some original gum. Plus 1923 Temple of Heaven (Constitution) mint hinged, 1c, 3c & 4c, full gum, some gum disturbance.